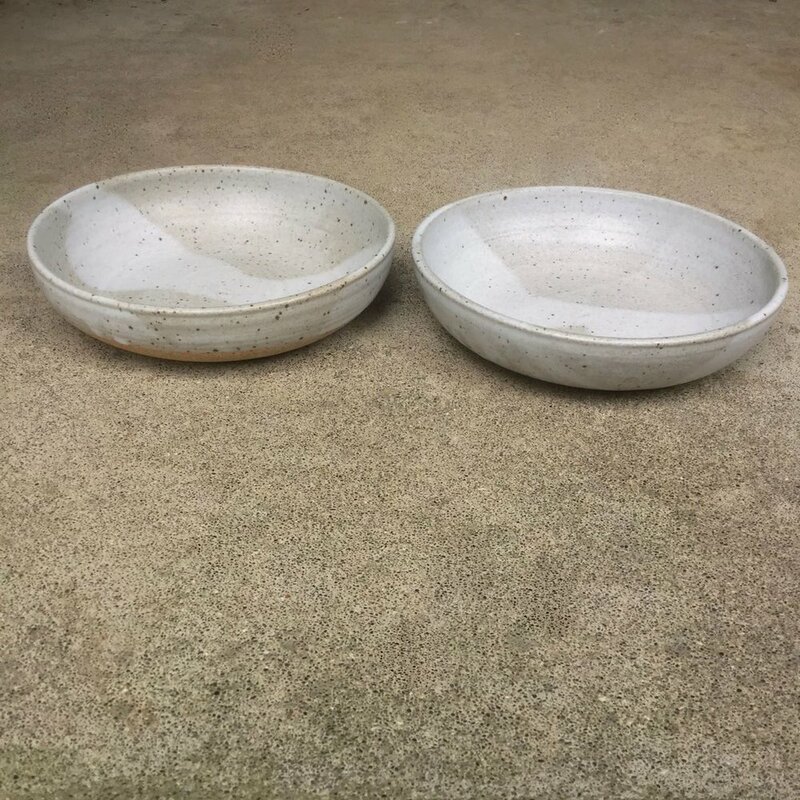 A pair of shallow dinner bowls glazed in matte pale speckled grey with a swath of foggy white. 8” wide and 2” deep. Dishwasher and microwave safe. Hand thrown in California.